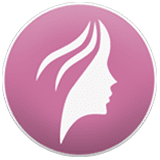 Bella-Sana Med Spa is the premier medical spa in Des Plaines, Illinois, that helps patients find the solutions they’ve been searching for to fix their skin concerns. The professional staff uses the most advanced aesthetic tools available to ensure effective results with little discomfort or downtime. The team at Bella-Sana Med Spa are experienced at treating many skin issues, including acne, angiomas, age spots, and rosacea. The practice also provides vein and wrinkle treatments, scar reduction, and hair removal with amazing aesthetic results. Among the latest technologies, the med spa is equipped with truSculpt® 3D, a body sculpting tool that gets rid of unwanted pockets of fat and improves body shape. Bella-Sana Med Spa offers same-day appointments and competitive pricing, and will even match prices of other spas for the same services. For management of all your aesthetic needs from a team of caring professionals who can enhance your natural beauty, call Bella-Sana Med Spa today or request an appointment online. "Great experience. The technician Michelle is knowledgeable, professional and very friendly. Would recommend." "Lovely place, wonderful people!I Have been here for my second hair removal and Dr. Michelle did her best to make me feel like I was on coffee with friend." "The treatment goes by so fast and feels like friends catching up and not like an appointment. Great experience!" "I visited Bella Sana for HydraFacial and boy, that was great! I liked the treatment, I liked the staff, I liked the results – absolutely everything!"